← 10+ Million Views For “What Does The Fox Say”?! What’s More Embarassing: Getting Pushed Off A Cliff Or Getting Trampled By An Elephant? HELENA, Mont. — They were newlyweds, but she was having second thoughts about the 8-day-old marriage, court documents say. The couple drove the short distance from their Kalispell home to Glacier National Park, where they got into an argument. He grabbed her by the arm, but she pulled away and shoved him face-first off a cliff to his death. Federal prosecutors have given their version of what happened to Cody Lee Johnson, 25, two months after his body was found in an area of the park so steep and rugged that a helicopter had to be used in the recovery. Jordan Linn Graham, 22, appeared Monday in federal court in Missoula on a second-degree murder charge in Johnson’s July 7 death. Her attorney, public defender Andrew Nelson, declined to comment. Johnson’s family and friends had called for an investigation since the body was recovered July 12 below the Loop Trail near the sheer cliff drops of the park’s popular Going to the Sun Road. Johnson loved her and was excited for their marriage after a two-year courtship, but his relatives suspected that Graham didn’t exactly reciprocate, family friend Tracey Maness said. She was aloof, didn’t want to spend time with his family, and clammed up when she did, Maness said. He told his mother that Graham would change when they got married, Maness said. “Nobody ever could have thought something like this could happen,” she said. On the night Johnson died, Graham told a friend that she meant to talk with Johnson about “having second thoughts about having been married,” according to an FBI affidavit filed with the criminal complaint. Just before 9 p.m., she texted the friend that she was about to talk to him. “But dead serious if u don’t hear from me at all again tonight, something happened,” Graham wrote, according to the affidavit. Johnson was reported missing July 8 when he failed to show up for work, and Graham was questioned the following day. She originally told investigators that Johnson sent her a text message the night of his death, saying he was going for a drive with a friend from out of town. She said she arrived to see a dark-colored car pulling out of their driveway, and that Johnson was in it. On July 11, two days after that interview, Graham told a park ranger in Glacier that she had found the body below the popular Loop area, the affidavit said. The park ranger commented that it was unusual that she found it. “It was a place he wanted to see before he died,” she said, according to the affidavit. “He would come up here with friends to drive fast when his friends were visiting from out of town.” Five days later, Graham admitted to authorities in a second interview that she had lied, according to the affidavit. She told them she and Johnson had an argument, were upset and decided to go to the Loop Trail. They continued arguing on the trail, and it intensified. At one point, she turned to walk away, but Johnson grabbed her arm, she said. She turned around, removed his hand from her arm and “due to her anger, she pushed Johnson with both hands in the back, and as a result, he fell face first off the cliff,” the affidavit said. Maness described Johnson as a “big goofball” with a great sense of humor who was into cars, video games, four-wheeling and kayaking. He and Graham during their engagement would go to Glacier for some of the easy day hikes, most recently in May, she said. She said the family is relieved that the investigation is finally complete and charges brought after two months. “Two months probably isn’t very long for an FBI investigation, but when you’re waiting for answers, that’s a lifetime,” she said. As I was reading about what happened to Cody, I remebered an article about an old man who got trampled by and elephant and it got me thinking: what would be the most embarrassing way to die? Not the worst way to die. That’s still being in an enclosed tank as it slowly fills up with water. Kind of like how Charlie died in Lost, except without the permanent marker or the heroin addiction. But what about the most embarassing way to die? Getting shoved off a cliff by your new bride is pretty embarassing, but so is getting trampled by an elephant playing bocce. 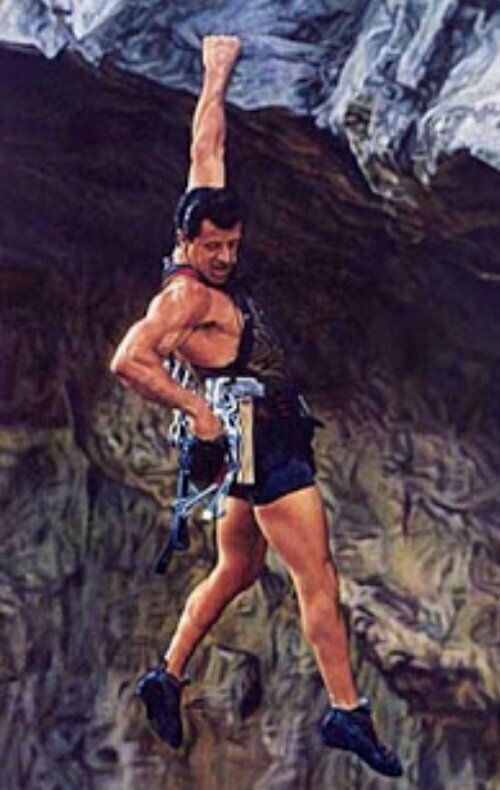 Unless you’re Stallone in Cliffhanger, you’re probably not going to survive a shove to the face off a cliff. I just don’t know if that’s the way I want to go out. Marry a girl one week, the next week she’s throwing you off a cliff. In her defense, who has an argument with a girl then takes her to a mountain top? Unless he was planning on throwing her off the cliff, but she saw it coming and pulled the ol’ switcharoo. Brutus move if I ever saw one. Next we have the old French man who got trampled by an elephant. I understand the guy was in his 80s, but how do you not see or hear an elephant coming? It’s not like it can sneak up on you. I feel like if an elephant was charging towards I could casually step aside and it would keep running. This is what happens when you get emotionally invested in bocci. You get trampled by a runaway elephant named Tania. 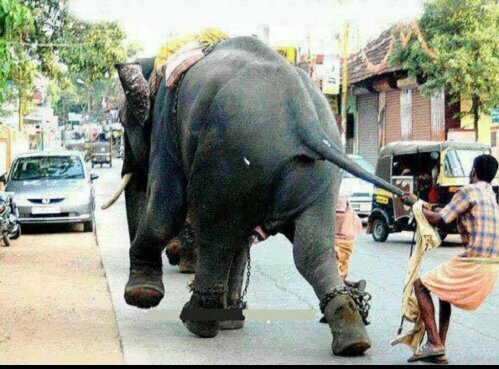 These are both embarassing ways to die, but I gotta believe my friends would give me way more flack for getting run over by a elephant. The old French man trumps the cliff diver. Posted on September 10, 2013, in Average Blog Posts and tagged cody, Crime, death, elephant, johnson, montana, murder, New York. Bookmark the permalink. Leave a comment.